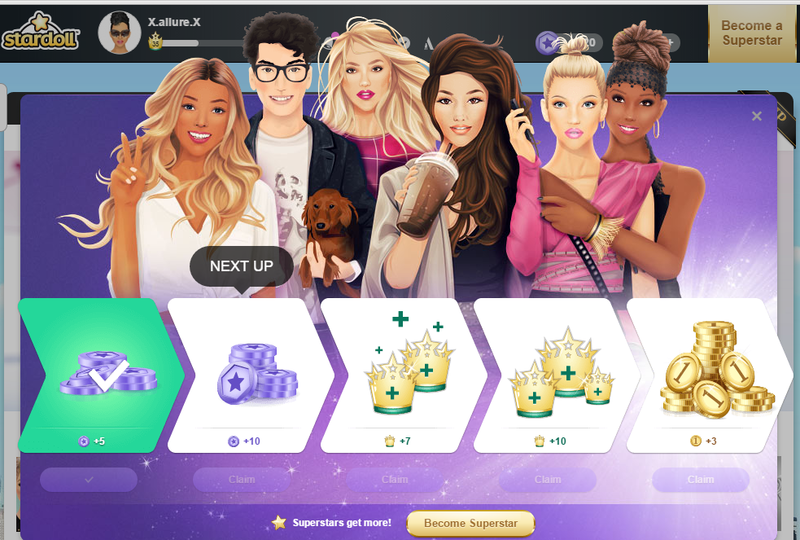 Stardoll has introduced a new feature called "Daily Gift". Well, it's not really "new" it's more of an updated version of the previous daily starcoin/stardollar gift. 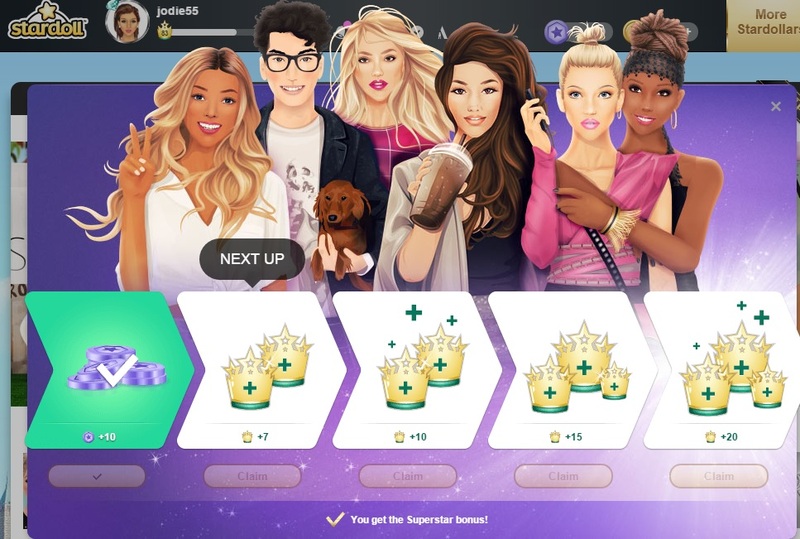 Here are the gifts for superstars and royalties.